The time period from Memorial Weekend to Labor Day Weekend is often labeled as the 100 deadliest days for teen drivers. Most teens are on summer vacation during this time period and spend more time on the road. Recent research from the AAA Foundation for Traffic Safety reports that 16-17-year-old drivers are three times as likely to be involved in a fatal crash. 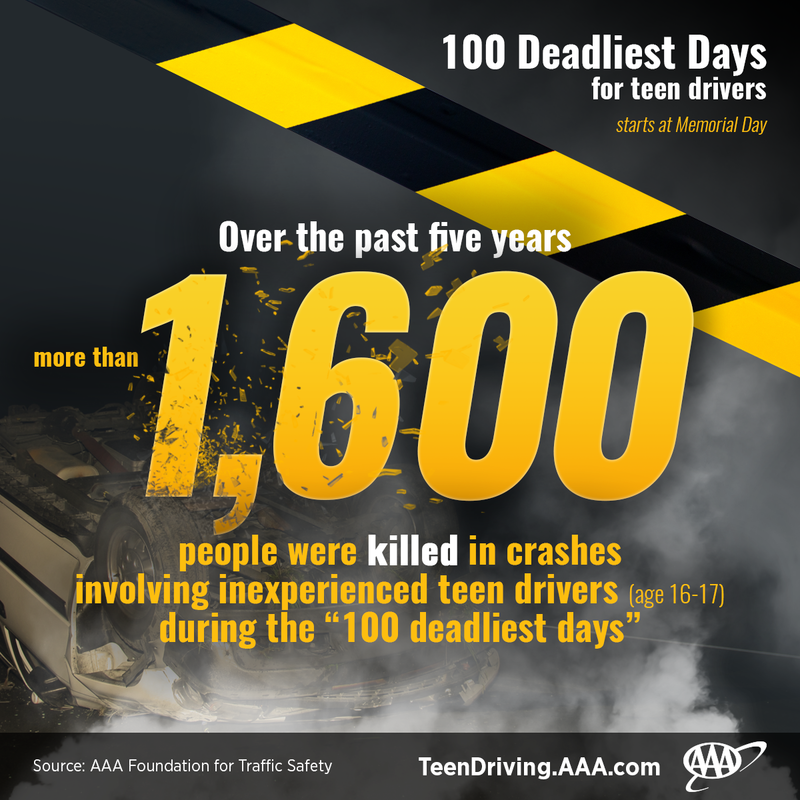 During the summer months, fatal teen crashes increase 15% compared to the rest of the year, and deadly teen crashes have increased 10% from last year. As a parent, you can help educate your teen about the dangers of risky behaviors behind the wheel and the responsibilities that come with driving. You can also model the behavior you want your children to engage in, such as putting down the phone while you drive and staying under posted speed limits. If you have been injured in an accident with a teen driver, please call McWhirter, Bellinger & Associates, P.A., today at 888-353-5513 for your free case consultation. We help accident victims recover the compensation they need. Our offices are conveniently located for our clients in Aiken, Camden, Columbia, Lexington, Newberry, Orangeburg, and Sumter, South Carolina.